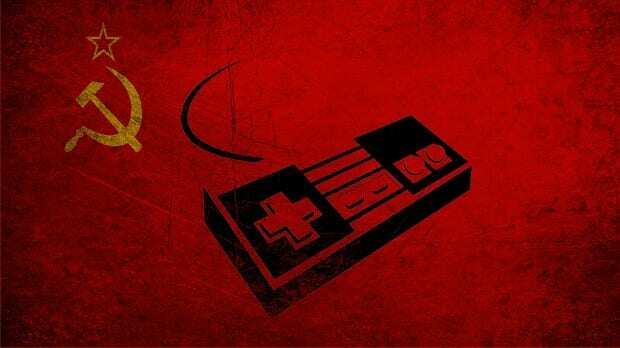 Welcome Comrades, to Games for the Masses! If there’s one thing I’ve learned in the past year, it’s that gaming is an expensive hobby. Really expensive. And if, like me, you’re not exactly rolling in money like a Tsar exploiting the serfs, might find yourself struggling to finding quality games. Some of the lazy and impatient might think that the obvious answer is to hoist the Black Flag and run over to your favorite torrent aggregator. There are a lot of reasons why that’s a bad idea, and I won’t go into them because–let’s be honest–you’ve heard them all before. You already know how piracy harms the proletariat collective. The shame is that you can play great games without feeding the indstro-capitalist pig-dogs, and that’s where Gaming for the Masses comes in. We here at GftM High Command will keep you up to date with sales and point you to some of the best low-cost games in future broadcasts but first we want to talk about our mission, and to give a few general rules of how to game cheap. [singlepic id=10568 w=320 h=240 float=left]Let’s just get this out of the way: if you want to play the newest AAA games, you’re going to have to pay for them. You might be able to get them on sale somewhere, but generally you’re still going to be putting out anywhere from $40 to $60 for the latest and greatest. If you have to play those games when they first come out, nobody is going to stop you, but you can stretch your money a lot farther by simply waiting for the game’s price to drop or by playing other games. There two used markets that are particularly helpful: sports games and used consoles. Annualized sports franchises are rife with amazing discounts, as the value of an older Madden or NHL game plummets with each new entry in the series. Given how little these annualized franchises improve from year to year, you won’t lose much by going back a year or two. A similar thign happens with consoles: used consoles are generally much less expensive than newer ones, for obvious reasons. Two of the greatest consoles of the past decade are particularly good deals: the Game Boy Advance and the Nintendo DS. Both are nearly indestructible, so you don’t need to worry about it wearing out, and both have libraries of incredible games you can get dirt cheap. Expect to hear more from GftM High Command’s Ministry of Propaganda about GBA and DS games in future broadcasts, comrades. If there’s a game you really just have to play, you can save a lot of money by shopping around. You’ll find a lot of package deals or discounts. No sale on Steam this week? Try Amazon. Been looking to check out Spec Ops: The Line? It’s $30 on Steam, but Amazon might have it for $20. Over Christmas there as a spectacular deal: Spec Ops packaged with Bioshock 1 and 2 for less than 10 bucks! There are loads of really great bundles you can find if you’re willing to look for them. Check back with GftM High Command to get informed about great deals. [singlepic id=10567 w=320 h=240 float=left]If you’re shopping around, but still can’t find a deal you can afford, then the trick is to be patient. I know it’s hard. I know it’s really hard to avoid spoilers, but you must remain steadfast, comrade. Games will go down in price after a few months, and if you’re lucky you might find a discount in one of those massive Steam sales. I got burned by this one over Christmas—I spent a bit of my gift money on Far Cry 3 only to have it go on a 33% discount the very next day. Sometimes truly awesome games go on sale for huge discounts—getting the Witcher 2 for less than 10 bucks is always a great score, if you can wait for it. [singlepic id=10570 w=320 h=240 float=left]A few years ago free-to-play games were pretty bad, demanding you sink quite a bit of money into them to have even a hope of a viable loadout or character. Worse were games that built in a number of incredibly tedious design limitations, like forcing a player to wait for upwards of 20 minutes while changing locations, or severely limiting their ability to communicate with one another. While those communication restrictions still apply in a number of free-to-play games, the tedium has largely been removed. The best part is that you’re no longer restricted to the classic free-to-play MMORPGs. With impressive games like Planetside 2, Team Fortress 2, Hawken, MechWarrior Online, Age of Empires Online, and myriad other titles, you can find a decent game in any genre you want. If you want faster unlocks, you’re welcome to go visit the game’s store, but the best free-to-play titles let you have fun even if you don’t have two nickels to rub together. That’s it for this initial broadcast of Gaming for the Masses. Next time, we’ll be highlighting the best places to get cheap games. Game on, comrades!